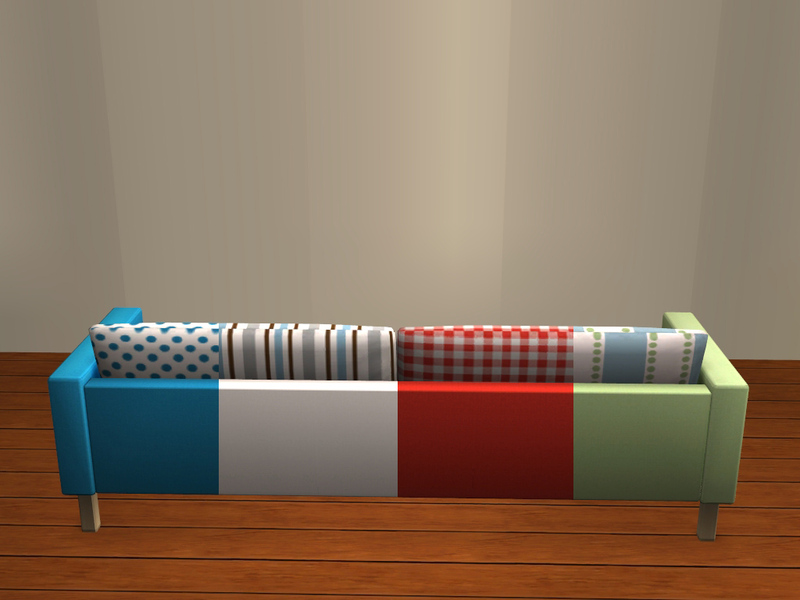 As someone who went from TS3 --> TS2 rather than the other way around, one of the things that still bugs me is the lack of colour options. I am a big fan of deciding what funky pattern in which neon-color I want to put on my sofa next! So I decided to make a set of matching recolours and added in a random bunch of random recolours for the fun of it. This set contains 10 recolours. 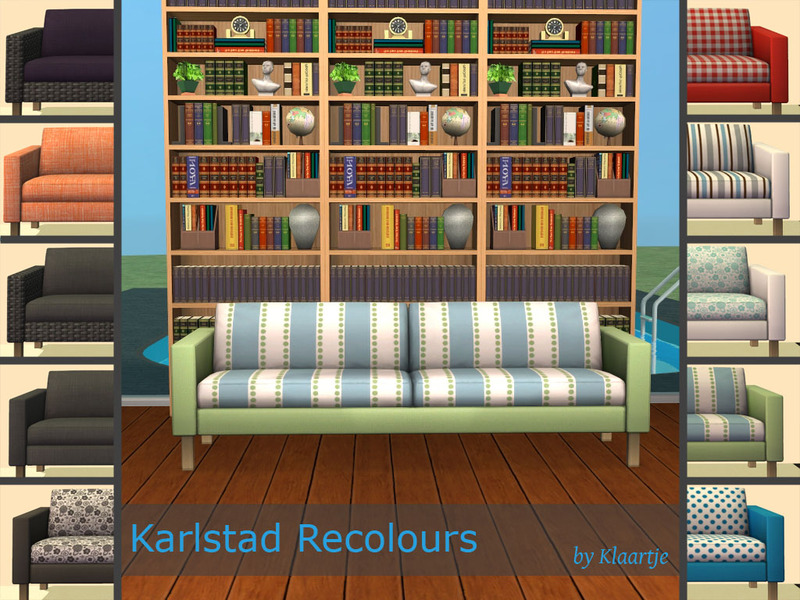 6 of them match the original Karlstad colours, with a patterned cushion. I have added four extra recolours as I enjoyed playing around with different textures. As you can see, on the patterned cushions, the pattern on the front and back of the cushion do not line up correctly. Also, if you are using HugeLunatic's IKEA Extras, only the solid and wicker recolours will look good on the chair and smaller sofa. The patterns will look stretched and squished. I would however recommend to use these IKEA Extras in combination with my recolours so you can mix&match like I did in my screenshots. HugeLunatic for the IKEA Extras pictured in the screenshots. As I said at MTS - where I already snagged these - I LOVE them! Thank YOU!!! They look great, and such nice pics too. Thanks for sharing!